When a user clicks an image, the earth coordinate up to 1 meter deep inside, gets embedded. Metadata properties like bearings, elevation can also be gathered. If the location is ‘On’, it can easily be known that from where the image is taken using Image Geolocation data. Other details like a model of the phone and camera, when the picture was Clicked, Flash was on or off while clicking the picture, shutter speed, brightness, at what distance the pic was clicked can also be retrieved using Geolocation Image Mapping techniques. For Example, Geolocation Image search can be observed in your daily life. Everyone is familiar with various social networking sites like Facebook and Instagram, Twitter. Geolocation is a beneficial feature if it is about investigating criminal cases. Obtained evidence need to be properly examined before arriving at any result. In order to confirm whether a person is guilty or innocent, activities should be closely examined. Analysis of images gives an idea to the investigators about where the culprit is. Location of the device can be accessed if the location feature of the phone is on. 2. Geo-tagging: In this approach, geographic location of an object like an image or video is being added on different media such as Photograph, QR Codes, Video etc. 3. Geo-Coding: This technique refers to transforming the descriptions (address, coordinates) of location on the map. 1. Transfer the picture to PC or laptop. 4. 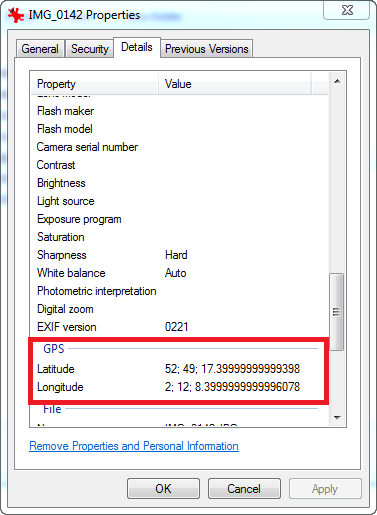 There you can see Latitude and Longitude under GPS. 2. Enter the GPS coordinates in the Search box. 3. You will automatically see a pinpointing to that particular place. In order to deeply observe the evidence and analyze the location of the image when location feature is turned on, professionals trust on a third-party tool. One such tool is Email Examiner. 2. Switch to Media Tab that shows all attachment files. 3. Search for the Evidence(Image in this case), select it, right click on it and then choose Export as KML File. Keyhole Markup Language (KML File): A Standard file format used by Google Earth application to display Geographic Data of the file. It includes information such as Placemarks, Descriptions, ground overlays, paths, etc. Open the Google application and view the location of the image. 5. 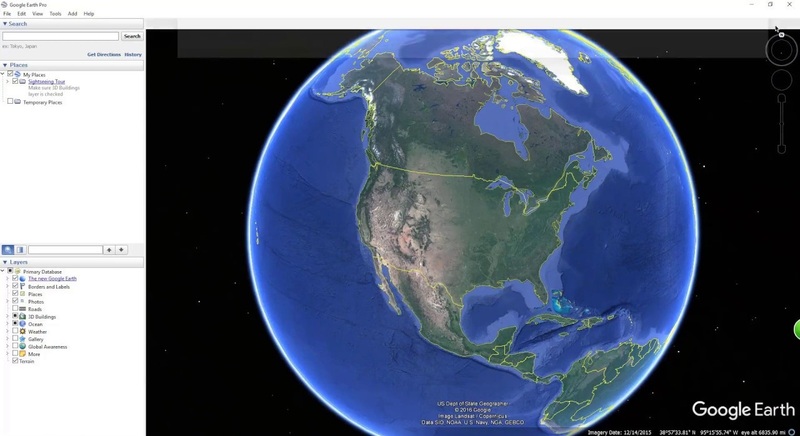 For Geolocation Image mapping, Download the Google Earth software. 7. Browse the KML file obtained from the Email Examiner forensic tool. 8. The software will Display its Location on the Map. If the location of your Smart-phone or any device is on, the location of the image can be easily traced. This feature is very helpful from the Digital forensics point of view. Evidence needs to be closely examined to find whereabouts of the culprit. This can be done with the help of analysis of Geolocation Metadata of images. This can be done with the help of third party tool like Email Examiner. Include Advance option analyze images file and help user in Geological Image Mapping.